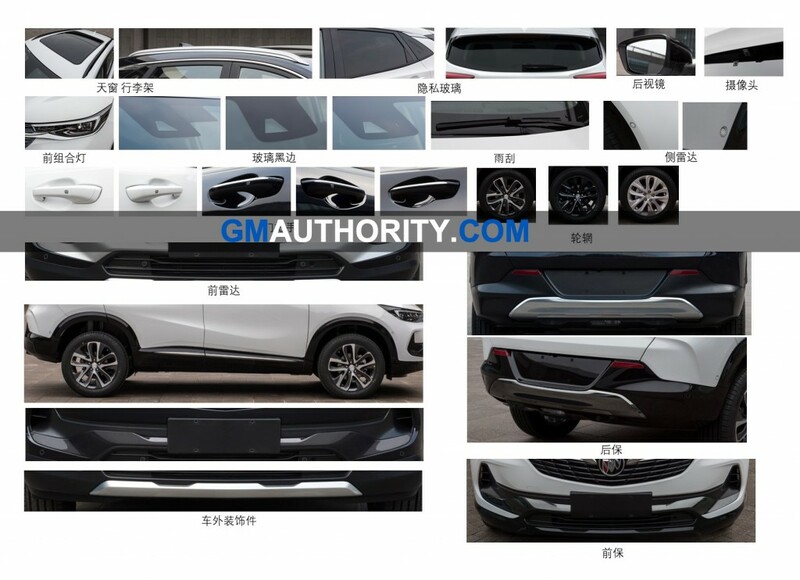 New photos leaked via Chinese sources show the new Buick Encore. But no, this isn’t the all-new 2020 Buick Encore that’s set for U.S. launch. 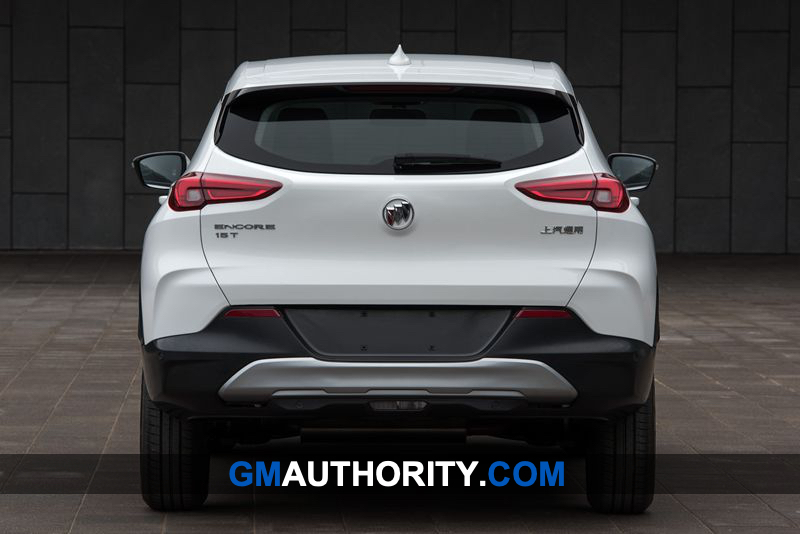 Instead, it’s the 2020 Buick Encore that will be sold exclusively in China. The model seen here is based on GM’s GEM platform, which is not destined for the U.S. market. The purpose of GEM is to consolidate low-cost cars for developing markets, such as China and South America, on a single platform. Thus, cars sold in China and South America will be very similar, if not identical, in the years to come. Notably, this new Buick Encore will share its platform with the new Chevrolet Tracker (not the Trax), another GEM-based model that will not be sold in North America. So, what we see here is a set of headlights that looks right at home on a Buick (although there seems to be some Opel here as well), with a chrome strip that flows through the grille. The bottom portion of the front bumper receives some plastic cladding in a shape similar to the Chevrolet Camaro. We imagine higher-spec trims will have LED lights in the area. The rear receives a pretty anonymous look with a clean clamshell and angled taillights that look just slightly slimmer than the units found on the leaked Chevrolet Tracker. Other than that, the rears look mostly identical. 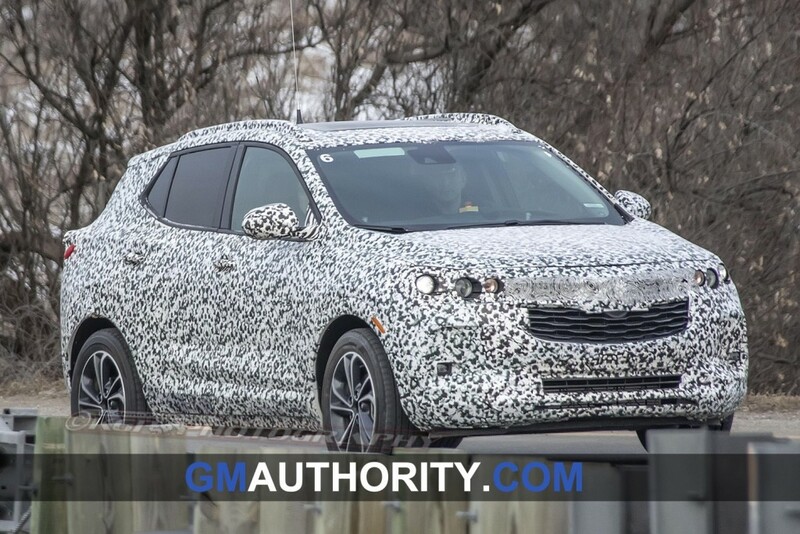 Here in the U.S., our new Chevrolet Trax and Buick Encore will ride on the GM VSS-F platform, and will look different from the model shown here. Notably, the second-gen Encore for the U.S. will also be sold in China, albeit under a different name (more on that soon). Thus, the U.S. 2020 Buick Encore will likely have a similar footprint to the current model and to the model seen here, but be a more premium offering. We do expect the next Trax and Encore to grow ever so slightly for American buyers, but overall, they will be sized similarly to the current models. Expect a more cohesive design from the U.S.-market Encore, perhaps a baby Enclave kind of look. We expect the 2020 Encore for the U.S. to debut later this year or early next year. When it enters production, it will be built at a GM Korea plant and exported to the U.S. Subscribe to GM Authority for the latest Buick news and around-the-clock GM news coverage. What is the reason behind a VSS-F for cars if GM killed almost every sedan in the market but one and the Cadillac sedans are RWD? These small cuvs will ride VSS-F or GM will give the market again the Chevy sedans? F is for front… so it is flexible for both cars and crossovers. If they ever decide to build kore cars, they can on that architecture. There will at least be a new spark, Malibu, Regal on the platform, along with a Verano, Lacrosse and Cruze for China. It makes sense when you realize that crossovers are cars with a raised roof and a slightly higher ground clearance. Sean, if the second-generation Buick Encore on the VSS-F platform will also be sold in China, why would they give it a different name there? To avoid confusion, why not call the VSS-F Encore the Encore in China, too, then pick a new name for the GEM platform vehicle? Also, do you have any additional information about what the “Encore GX” and “Envision GX,” two names that GM recently registered as trademarks, will be?